Natural curves are present throughout the spine. However, patients may develop abnormal curvature throughout their lifetime, which can introduce twists in the spine to create a deformity. 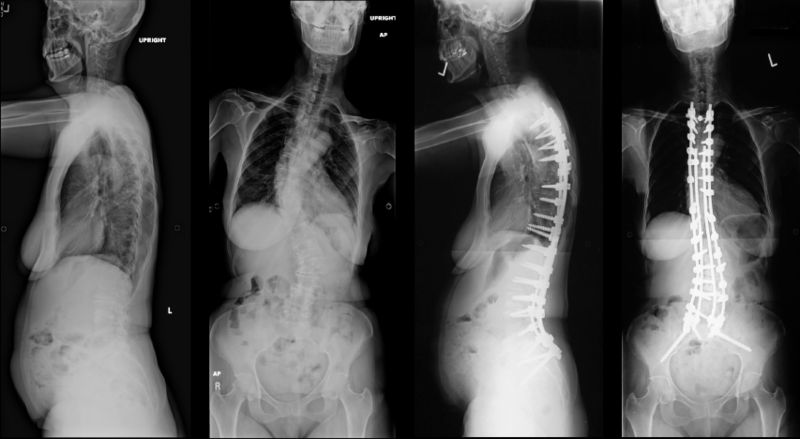 This condition is scoliosis, and can be categorized into two types: idiopathic and degenerative. Idiopathic scoliosis by definition is an abnormal curve formed due to an unknown cause. Curvature usually begins mildly and progresses slowly over time. The curve may have started in adolescence and continued in adulthood. Common indicators of idiopathic scoliosis are shoulder asymmetry, a rib hump or prominence of the lower back. Degenerative scoliosis occurs in adults. It may be caused by degeneration or collapsing of the discs, or due to arthritis of the joints between two vertebral bodies. Patients are evaluated with standing x-rays, to determine the magnitude of the curve and their overall alignment. Magnetic resonance imaging (MRI) study may also be used to evaluate neurologic abnormalities that may have been presented during their physical examination. 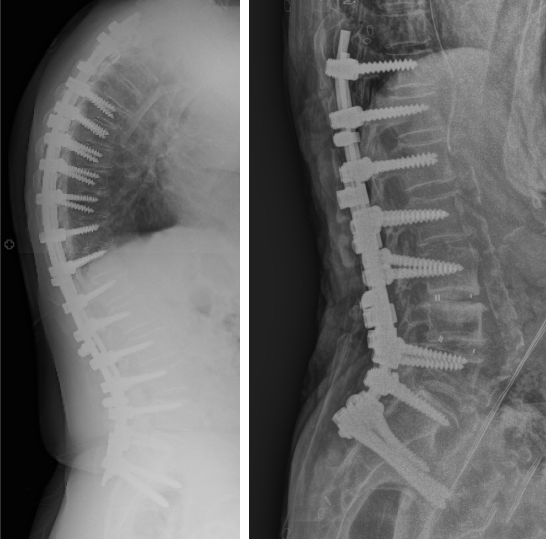 There are many advancements in the surgical treatment of adult spinal deformity. With the constant evolution of technology, the ISSG aims to stay on the cutting edge of improving patient care in the form of research. COPYRIGHT © 2016 International Spine Study Group. All Rights Reserved. Designed & Developed by Unleaded Group.